Anyway, everyone was ready to roll, and the parade started. 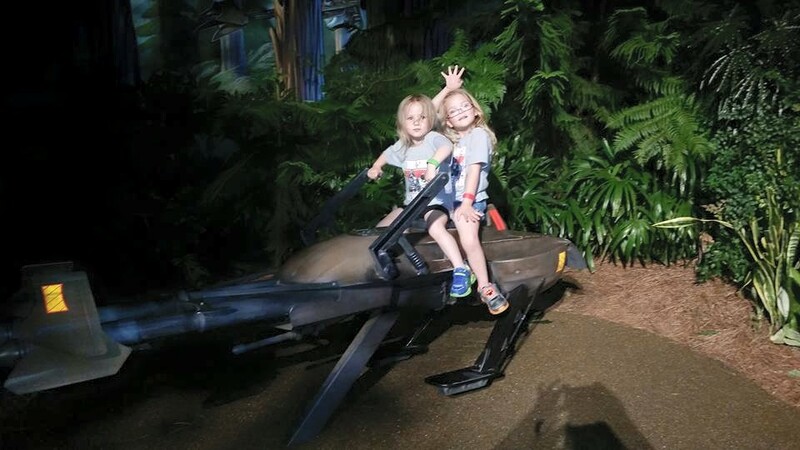 I could see my nieces being adorable in their robes and doing their little performances with lightsabers and practicing their “Force push”, etc. But as we walked, it hit me – there were THOUSANDS of people staring. At us. And it was kinda awesome. 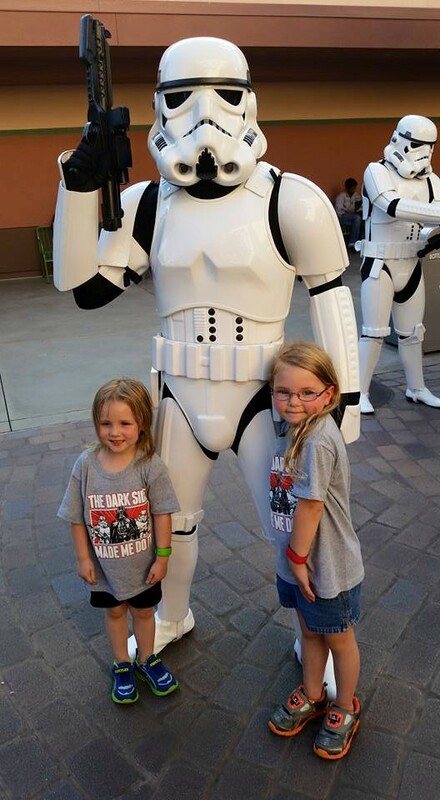 Lillie is the sunglasses kid on the bottom right corner, and Dica is the little one between the Stormtrooper kid and the adult. They put the kids at the front of the stage, and left us at a special front row spot for adults right by the stage, in case the kids needed parents. Which Dica did, because she got overheated. 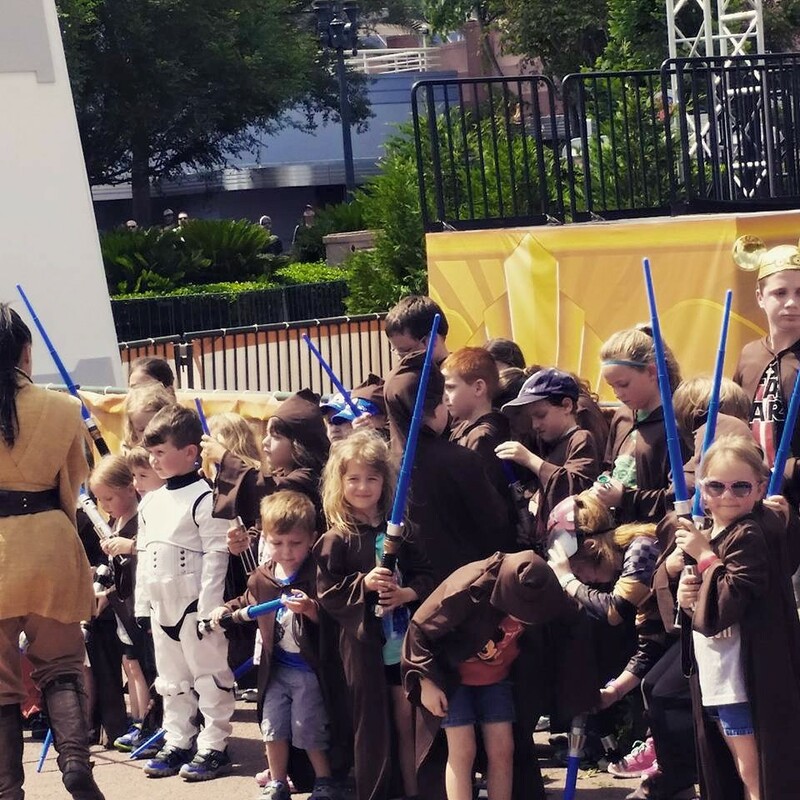 Once the on stage stuff was finished and the kids were meeting back up with parents, they gave out gifts to all the kids who helped – cool little Star Wars action figures! 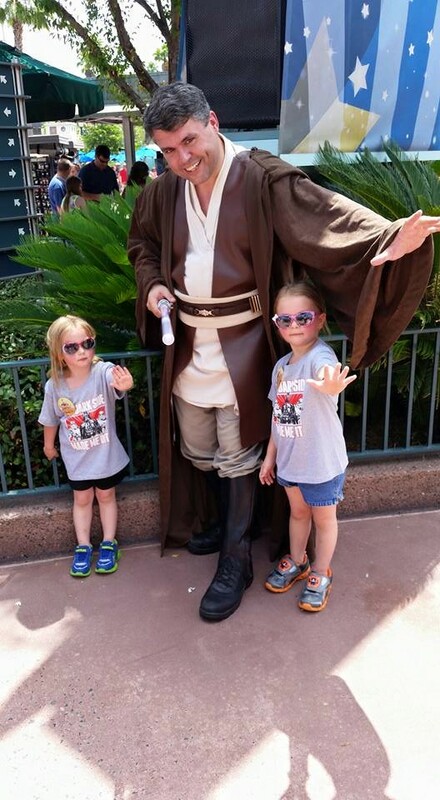 Showing off their sweet Forces skills to another Jedi. There were tons of merchandise, special Magic Bands, dining experiences, themed popcorn buckets and steins for your drinks, trivia, shows, talks, etc. And at the end of the day, a Symphony in the Stars fireworks display, which my family watched as I rested in air conditioning. But from what I heard, it was great. 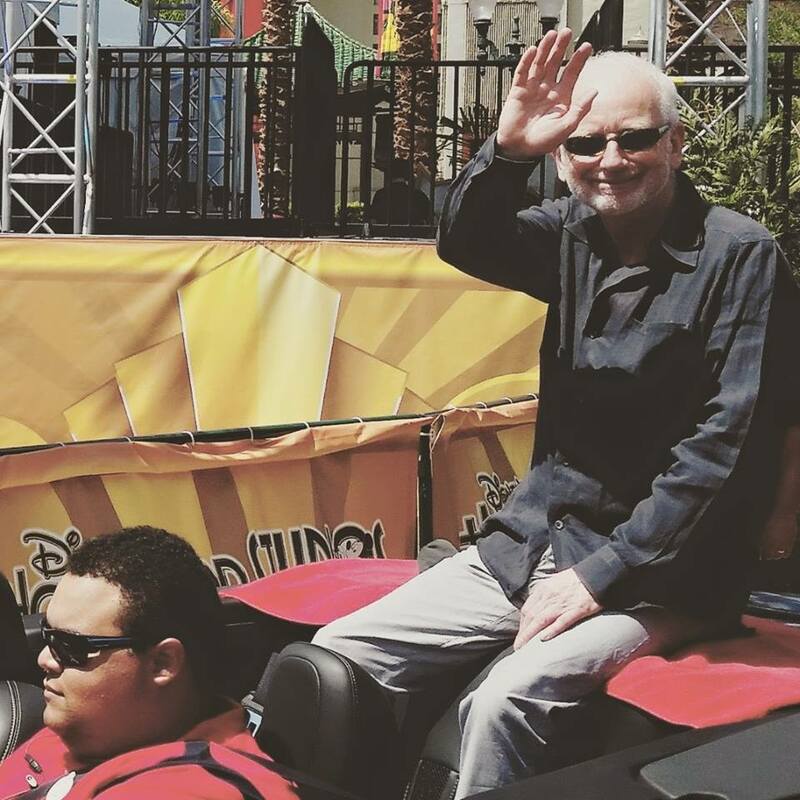 All in all, Star Wars Weekends was a BLAST, and definitely fun for fans of all ages. Unfortunately, from what I understand, there will not be a Star Wars Weekends this year at Disney. I’m not sure myself if that’s a great idea, because after The Force Awakens, you could have an even BIGGER Star Wars Weekends event. But, maybe they have something else, something bigger in mind. Or they’re devoting time and money to the Star Wars expansions of the park. Time will tell.